Our newest collection is in and boy, does it feature some stunners. A single piece from this collection is enough to utterly transform your space. Just take a peak! 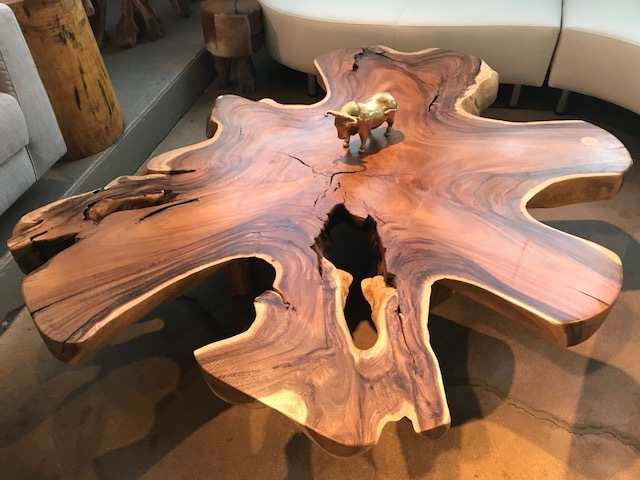 Take a look at this incredible coffee table. It features an exotic free from shape and stunning grain. This is truly a one-of-a-kind beauty. As usual, our live edge dining table game is on point. Beautiful, thick, long pieces of wood create these naturally sculpted pieces of functional art for the home. 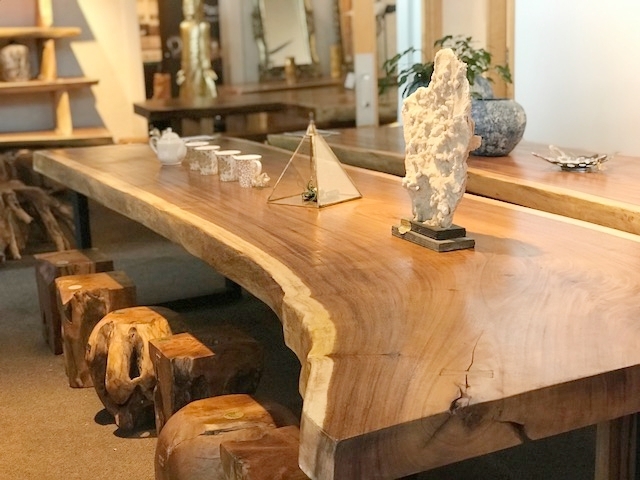 Our Majestic Live Edge Dining tables are all crafted from single slabs of thick wood. Exotic Lychee wood is the one of the newer materials to hit the world of live edge and it is causing a stir. This wood features exaggerated, highly unique live edge with warm tones. The metal bases of these beauties balance them out with a modern, clean element.